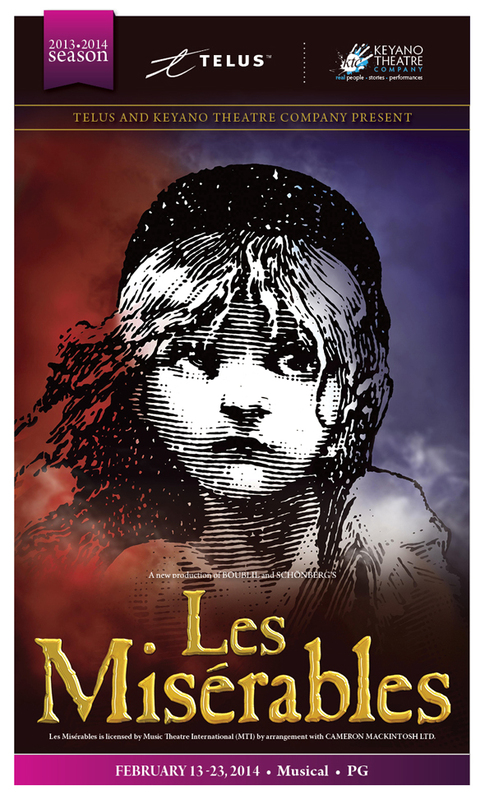 This weekend, Keyano Theatre Company (KTC) hosted the second and final series of recruitment activities for their upcoming production of Les Misérables. It began with an information session held in the Recital Theatre on Friday night with director Claude Giroux and music director Susan Lexa, with support from the assistant to the music director Dianne Pare and Alan Roberts, Director of Keyano Theatre and Arts Centre. What does a KTC production experience really entail? For a majority of the people who attended on Friday night, that was a question that needed to be answered, as they were new. It's a big deal to be able to say that well over half of the attendees were faces we had not seen before, and interspersed through the throng of hopefuls were men, guys, persons-not-of-the-female persuasion. That's an even bigger deal. "I'm so happy to see all these guys," I said a number of times, as did Misty Oakes, Theatre Publicist, who was visibly thrilled with the response from the male of the species. Getting men out to auditions has been a chronic problem for well over a decade. In fact, the lack of access to male talent has significantly influenced programming choices. Shows with a stronger complement of females are peppered through the last 10 seasons, Nunsense, Les Belles-soeurs to name just a couple. Perhaps with the robust turnout of guys - at one point on the weekend we were 20 strong standing in a big arc in the choral ensemble - we have reached a demographical turning point in the arts in Fort McMurray? There were lots of amazing ladies who came out, too, some familiar faces and voices, and many new ones. They sounded awesome and making casting choices for the premium female parts - Fantine, Cosette, Madame Thénardier and Éponine - will be tough. As we stood up on that stage singing "Do You Hear the People Sing? ", the sound was stunning, inspiring the hairs on the backs of our necks to stand at attention. Positioned in our arc, the boys sang the opening bars of the show - Look down, look down, don't look 'em in the eye - and the room resonated. The overall experience was wonderful. From group singing with Dianne, individuals were brought into a different room with Claude and Susan. They asked us to sing a couple of different things, providing some direction and a second chance at each: relaxed, no stress, fun. Later in the process, we were brought in to sing a few more things as they got closer to narrowing down their choices. This was the most accessible, welcoming and supportive audition process that I have ever experienced. I was very proud that both Dylan and Ben participated, braving their fears and seizing the possibilities. I'll never forget driving home from the theatre with them on Friday night singing Do you hear the people sing at the top of our lungs. The feeling of joy that pulsed through my veins in that moment reminded me of why the arts matter, that creation and performance elevate the human experience. 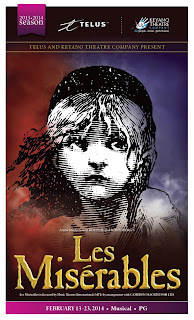 I was in the clouds as we cruised down Franklin Avenue beginning our Les Mis adventures.